Eating in Munich is all about the classics. There's sausage, chicken, pork, beer, of course. But when you go looking for something "different", you find other classics, too: excellent Turkish, Italian, French food! 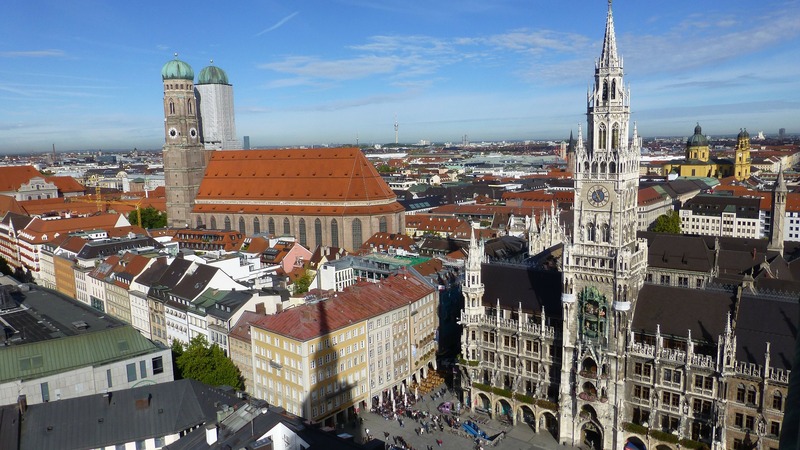 Munich is not a city at the climax of the culinary adventure, and its inhabitants are not the friendliest, but it's super easy to eat very well. Here are some interesting addresses! When we think of Munich, we think of the classics of German cuisine. Braised pork, roast duck, sauerkraut, beer, heavy and dark multigrain breads, sausages of all kinds ... And we imagine eating in one of these immense rooms with wooden shades where people of all ages engulf their beer at a phenomenal speed. This is the "brauhaus" experience. The Spaten brewery has its own restaurant, the Spatenhaus, and offers exactly what the cliché requires. The clichés have to come from somewhere, right? Click here to see what an evening at the Spatenhaus looks like. And for digestif, a visit at the restaurant across the street, Kuffler Restaurant! Any self-respecting foodie will start a visit to Munich with Dallmayr. It's a delicatessen that offers the best of everything in a luxurious setting. It's simple: the best quality of all products imaginable at the peak of their freshness. But Dallmayr is also a luxury restaurant, double-starred by the Michelin guide, and considered as one of the best restaurants in all of Europe. For my part, I frankly loved my experience. All that was served to me was simply sublime... except for one dish. Want to know which? Click here to read my review of Dallmayr restaurant on my brand new blog, The Fine Dining Blog. This young and trendy restaurant and bar offers inexpensive sandwiches and pasta dishes in addition to a fine selection of local beers. And it's open late! Why not go for a drink and observe the local flora before going to bed?